In 1998 Hugo Chávez was elected president of Venezuela. He ran on a populist platform that pledged to use the country’s vast oil wealth to reduce poverty and punish the country’s elites. By the time he died in office from cancer in 2013, he had kept his big promises. He had expanded social services along with housing and food subsidies for the poor. In the process he nationalized hundreds of private businesses and foreign-owned assets like projects by ExxonMobil and ConocoPhillips. When Chávez first took office, Venezuela’s poverty rate was about 50 percent. By the time he died, the rate had fallen to around 30 percent. However, as is the case often with socialism, short term gains come at a serious long-term cost. Hugo Chávez left his successor, Nicolás Maduro, with a ticking time bomb. When oil prices fell from a high of $111 a barrel in 2014 to $27 a barrel in 2016, the bomb went off throwing the Venezuelan economy into freefall. Oil accounts for 95 percent of the country’s exports and 25 percent of its gross domestic product (GDP). When oil prices fell through 2016 Venezuela’s GDP fell 10 to 15 percent with inflation skyrocketing 800 percent. Today, the Venezuelan economy is utterly wrecked. With massive inflation there is profound shortages of food, medical supplies, and basic staples like soap and toilet paper. The country’s price controls which were meant to ease costs for the poor have backfired. And currency controls which have been in effect since 2003 have created a black market and act as a magnet for corruption. The situation for the people of Venezuela is increasing dire. Human Rights Watch has labeled the situation a humanitarian crisis. Hospitals are reporting shortages of antibiotics and basic medical supplies. The infant mortality rate rose 30 percent in 2016. Once eliminated diseases like diphtheria and malaria are starting to appear again. Malnutrition is now rampant in what was once South America’s richest country. If the situation was already not bad enough for the people of Venezuela, crime is exploding. Last year 28,479 murders were recorded. The highest murder figure to ever be recorded in the country. To put that number in perspective, that equals to 91.8 murders per 100,000 people as compared to the U.S. number of 5 per 100,000 people. In order to cling to power, President Maduro has become increasingly autocratic, and as The Economist describes it, he is “extinguishing democracy.” In 2015 opposition lawmakers won a majority for the first time in 16 years under the Democratic Unity Roundtable coalition. Maduro quickly took steps to undermine the opposition. Among those were stripping the National Assembly of its economic powers and thwarting a law that would free political prisoners. In March of this year, the legislator was dissolved though a few days later reinstated after international pressure. In May Maduro ordered a new constitution be written in a naked power grab. The National Assembly organized a referendum and Venezuelan voters overwhelmingly rebuked Maduro’s plans on July 16th. Maduro and his supporters claim the referendum was illegal and therefor invalid. Meanwhile, the people of Venezuela have been protesting in the streets and as of this writing, at least 100 demonstrators have been killed in clashes with government forces. Security forces even have attacked journalists covering the protests. 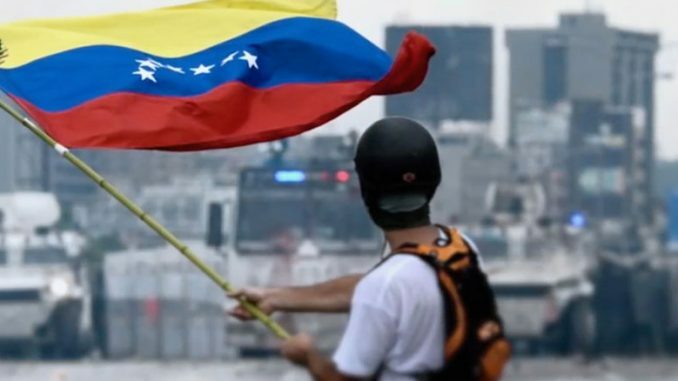 Venezuela now has been labeled by Freedom House as “not free” making it only the second country in Latin America behind Cuba to earn that classification. Regional and international pressure is building on President Maduro to stop and reverse his anti-democratic ways. Last year the South American economic and political bloc Mercosur—made up of Argentina, Brazil, Paraguay, and Uruguay—suspended Venezuela from its organization. In March of this year Venezuela preemptively quit the Organization of the American States (OAS) when Secretary General Luis Almagro pushed for suspending Venezuela if Maduro did not hold elections. Just this week the United States, Venezuela’s largest trading partner, announced sanctions on 13 current and former Venezuelan officials. The Trump administration threatened more sanctions if Maduro pushes ahead with rewriting the country’s constitution. There is little or no faith that the current leadership in Venezuela can put the country back on the right course. To outsiders the country’s slide into economic and humanitarian disaster has been a slow motion train wreck of an irresponsible and reckless leadership. For the country to recover it will not only take new leadership at the top, but will also take decades and even generations. What is your opinion about the subject of this article? Leave a comment below. Brian F. Bridgeforth is a social media political commentator with a background that includes advising and managing political campaigns at local, state, and federal levels. His social media activities have caught the attention of CNN and the Wall Street Journal along with many politically oriented blogs. Brian has been writing about foreign affairs and international relations since 2016. Copyright © 2013-2019 www.brianfbridgeforth.com | A Blog on History, Politics, & Foreign Affairs.